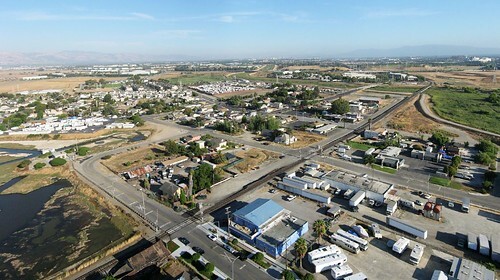 There has been a lot of news on new residential or commercial development in San Jose, but it has been quiet on the industrial front for quite some time. In fact, there hasn't been an industrial building built in San Jose for 15 years. However, manufacturing is slowly coming back to the US. With more advanced robots and 3D printing technologies in the pipeline, the trend will likely continue if not accelerate in the future. Trammell Crow has decided to take a leap of faith and speculatively build a massive amount of manufacturing space on the edge of Alviso on 57 acres of empty land formerly owned by Cisco. The first phase will be a single 250,000 SQFT building for high-tech manufacturing. After that, an even larger 325,000 SQFT building will be constructed. Finally Trammel Crow plans to top off the project with 400,000 SQFT of office space between two and three story buildings on North First. While there is quite a bit of manufacturing space in the North First area, most of the facilities are outdated and are much smaller in sized than what is being planned by Trammel Crow. This could really attract an interesting tenant or two to the Alviso area. This is not so bad. The original plans were much more invasive to the community of Alviso so a lot of consultation took place to arrive at the final plan. It's going to be good paying manufacturing jobs ... like there used to be a lot of around here. I don't think you need to feel sorry for Alviso. Looks great! The one thing I don't like is the amenities map... McDonald's, really? That is what you are going to highlight on the map? Agreed. Nice addition to the area. So this is in addition to the manufacturing space, right? Aside from McDonalds :), has anyone who drives 237 on a daily basis noticed how bad it's getting lately. Well, this isn't gonna help!!!! The idea is to fill up these offices/factory floors with people that live in all the new apartments around north SJ. That's the theory. I hope it all comes together. Once all this stuff gets built out, priority number one should be to upgrade the VTA 58 line to all-day service. It provides a vital public connection (Tasman/Baypointe LR to N. First/Alviso ).